If your child has been diagnosed with Attention Deficit Hyperactivity Disorder (ADHD), your doctor will recommend treatment approaches to help manage ADHD symptoms so that your child can focus on school work and building positive social relationships. In addition to your doctor’s recommended treatment, a recent study found that there are also simple lifestyle changes that may help lessen the severity and impact of ADHD on your child’s day-to-day life. Although this is a weaker retrospective, observational study (as opposed to a randomized, prospective study), they found that the children with ADHD spent less time being physically active, drank more sugar-sweetened beverages, got less than the recommended 9 to 11 hours of sleep per night, and engaged in more than two hours of screen time a day compared to those who did not have ADHD. The study’s results suggest that by encouraging healthy habits, you may be able to lessen the impact that ADHD symptoms have on your child. These changes can be effective for children who take medications for symptom control as well as for children not currently taking an ADHD medication. Help your children get at least an hour a day of physical activity. A number of studies have found that regular physical activity can help children with ADHD improve their focus, avoid distraction, and do better in school. One study found that after 20 minutes on a treadmill, both children with ADHD and those without it performed better on math and reading comprehension tests. Other studies have found that yoga increases the ability of children living with ADHD symptoms to focus. 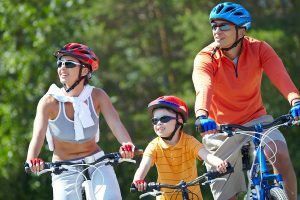 Let your children choose the type of physical activity they take part in so they’ll be more likely to stick with it, whether it’s an organized sport, a daily family walk or hike, or simply playing in the backyard or park. Limit screen time. In a world where there are even apps for babies and toddlers, screens can be a bigger part of your children’s day than you realize. Limit your elementary school age child’s screen time to 1 to 2 hours a day. Children who spend more time on screens also often get less physical activity, so that’s another good reason to limit screen time. Make sure they not only get enough sleep, they get good sleep. Some studies have found that some children who were misdiagnosed with ADHD actually had undiagnosed sleep problems, such as sleep apnea and snoring. Unlike adults, who become lethargic when over-tired, children can become hyper-aroused when they’re sleep deprived. When the sleep problems were treated, allowing the children to sleep more deeply and without interruption, the ADHD symptoms were significantly lessened or disappeared. It’s also helpful to adjust your children’s environment and schedule to decrease distractions and increase focus. Maintain a regular schedule for meals, homework, and bedtime and keep the area where they do homework free of distractions such as TVs and cell phones. Helping them build organization skills for school and managing their belongings at home can also have a positive impact. Talk with your pediatrician or find a pediatrician who has special expertise treating children with ADHD to build a plan designed to better manage the specific challenges that your child with ADHD faces.